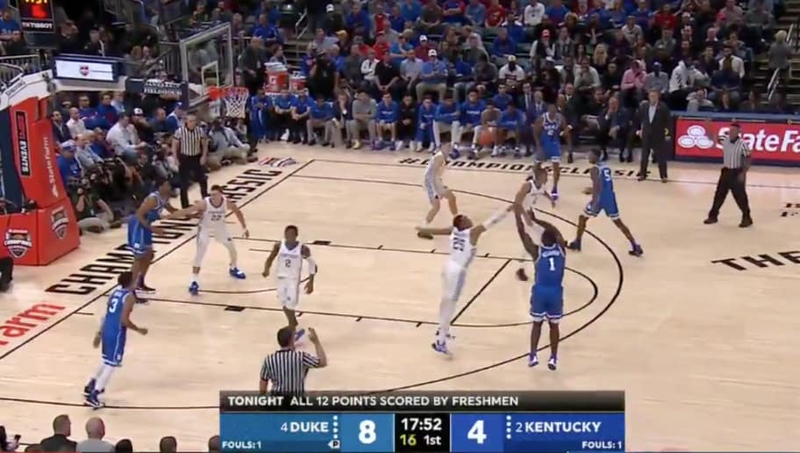 ​The hype around Duke's latest 5-star recruit seems to be real as Zion Williamson made his first shot as a member of the Blue Devils...and it was pretty. Williamson was an absolute beast in high school, leading Spartanburg Day School to three South Carolina state titles, and averaging 36.4 points and 11.4 rebounds in his senior season. ...and he's known more for his insane dunks. Everything you need to know about Zion Williamson, the most popular HS recruit since LeBron James, before his Duke debut tonight. Looks like Williamson is already on his way to leading Duke and owning the ​NCAA. Next up, the NBA.